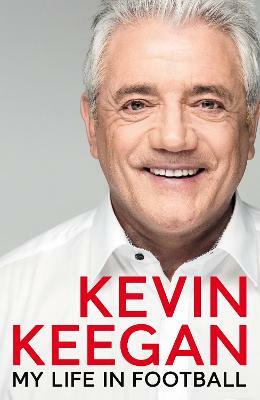 Kevin Keegan's glittering career includes domestic and European glory with Liverpool and Hamburg and leaves him as the only English footballer in history to win the Ballon d'Or twice. As a player, Keegan's six years at Liverpool included three league championships, the European Cup, two UEFA Cups and the FA Cup before leaving Anfield in 1977 to cement his superstar status with Hamburg, leading them to a Bundesliga title and a European Cup final. Keegan captained the England national team and won the Golden Boot at Southampton before finishing his playing career in dramatic style at Newcastle United, the club he later transformed in his now-legendary spell as manager. Famously, Keegan guided Newcastle from near-extinction to the brink of a Premier League title, playing a style of football that earned them the nickname of The Entertainers and featuring the never-forgotten 1995-6 championship chase with Manchester United. He went on to manage England, in between spells at Fulham and Manchester City, and later returned to Newcastle, desperately hoping he could bring success to the city that knew him as the Messiah. Daniel Taylor is the chief football writer for the Guardian and the Observer. He has been named Football Journalist of the Year three times by the Sports Journalists' Association, as well as winning numerous other awards. He started working at the Guardian in 2000 and has covered five World Cups for the newspaper. This is his fifth book.